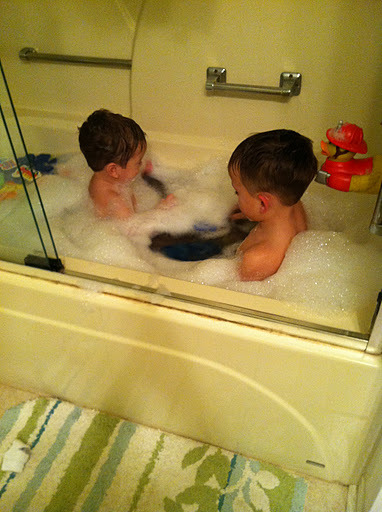 While I was rounding up pajamas these two jokers dumped an entire bottle of shampoo in the bathtub and had quite the bubble bath! 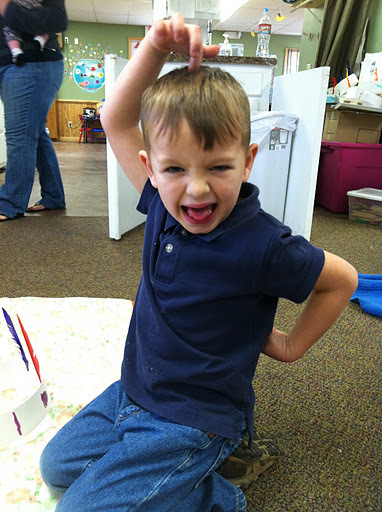 I had lunch with Owen at his Thanksgiving feast at school last week and this is his “nut” pose. He loves that song “I’m a Nut” and he keeps doing this every time I try to take his picture! 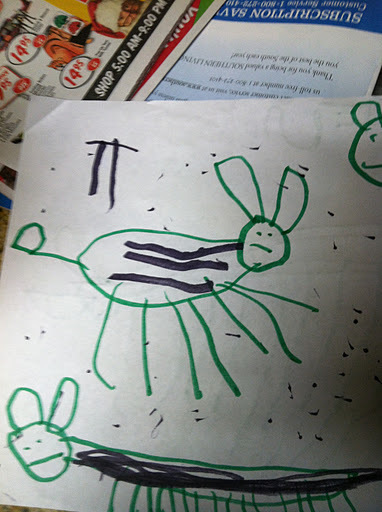 Owen is majorly into drawing these days and every week he gets better and better. These are donkeys. Every year Owen’s school has a turkey decorating contest. 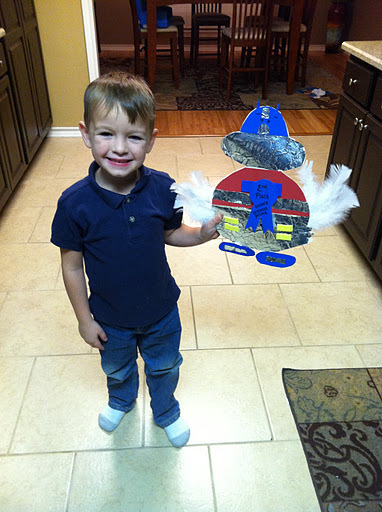 This year Owen wanted to make an Optimus Prime turkey and he won a prize. He was so proud! 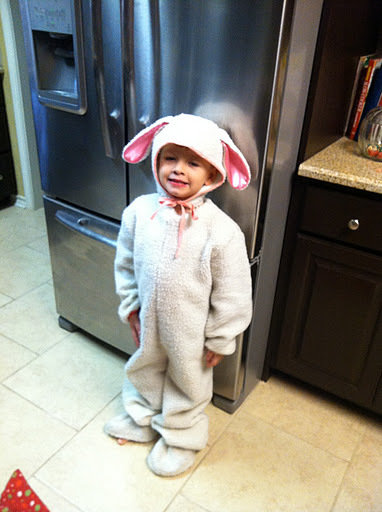 Owen’s going to be in the Beginner Choir Christmas program in a few weeks and is excited to be a sheep. He wanted me to take his picture when he tried his costume on. 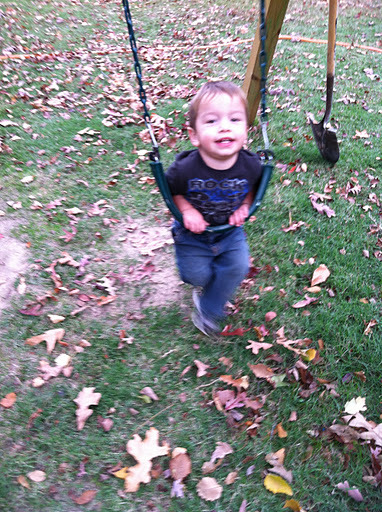 Finally, a picture of Aiden! He just doesn’t demand that I take his picture all the time like Owen does! 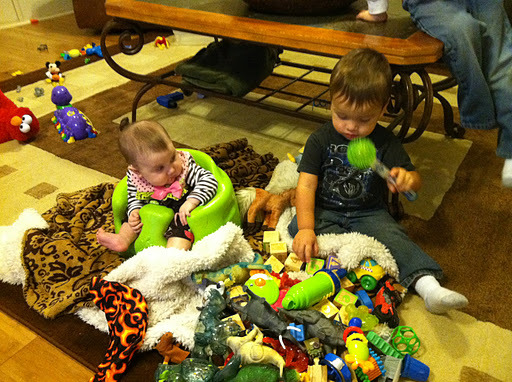 We babysat our cousin Keira over the weekend and the boys cracked me up trying to get her to play with them. We’re looking forward to lots of family time and lots of good food this week! I’m sure I’ll have plenty of updates after our fun weekend.